There are many choices for window styles that will meet your aesthetic tastes and provide the functional requirements you’d like. Whether your taste is geared toward modern or classic, or integrates elements from both, we have the window style you’re looking for for your home. Casement windows are very popular and are easy-to-open as well as featuring the tightest seal of all operational windows. 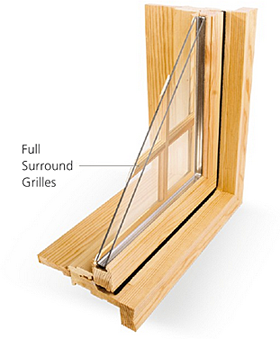 Windows can open a full 90° allowing for maximum ventilation. Windows operate with a crank handle. Awning windows allow for air movement in just about any kind of weather. Equipped with a crank handle, these horizontally inclined windows are ideal for small spaces like over a kitchen sink. Combine this stationary window with casement or other operational window types to create expansive views with visible sidelines. Popular in contemporary architecture, fixed windows give your home a modern look. Picture windows are non-operational and feature a low profile frame to maximize glass surface, allowing a beautifully clear, obstructed view. These windows are best suited to traditional architectural styles. 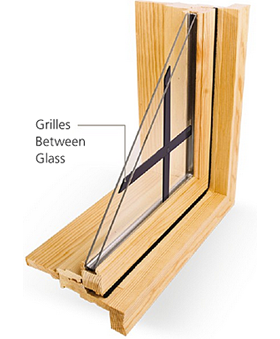 Double-hung windows feature an upper and lower sash that slide vertically past each other in a single frame. Each sash tilts in for easy cleaning and maintenance. Single-hung windows are a popular choice for all home styles. They open by sliding the bottom sash up, which allows you to control the amount of incoming airflow. Slider windows are helpful for adding airflow to tight spaces. They are available with either one operational sash (and one stationary) or two operable sashes. The sashes can be popped out for easy cleaning and maintenance. 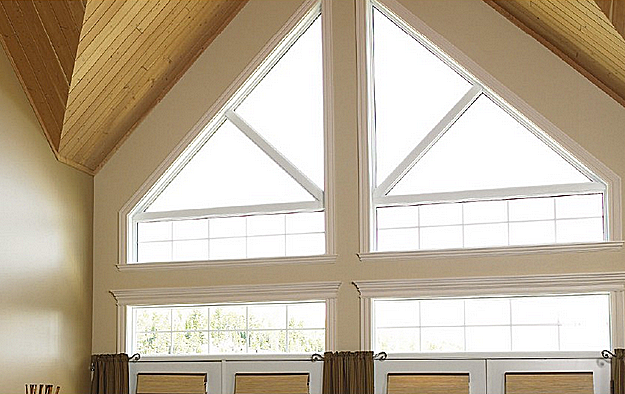 Radius/geometric windows make a statement in any room. Customize these windows to any size and shape and combine with other windows to give your home a memorable focal point. Offering a fully unobstructed opening, full vent windows are ideal for egress access in basement bedrooms. Hinged along the top, these windows open inward and are available in multiple sizes. A gradually curved series of windows feature a combination of windows, typically 5, with gentle angles to create the illusion of a curved wall. Bay windows consist of a combination of windows, typically 3, with angled sides that extend the room outward. They can include a combination of fixed or operable units. Grilles Between Glass are a non-removable feature built-within the glass, making them an attractive, low-maintenance option. They create the luxurious appearance of traditional grilles, while offering easy cleaning for both interior and exterior surfaces. 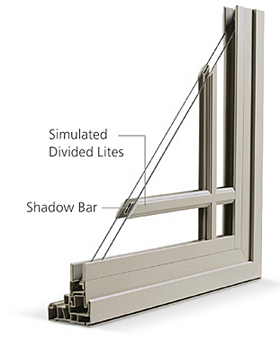 Simulated Divided Lites are installed directly on the exterior and interior surfaces of the glass (non-removable), boosting your window’s curb appeal potential while re-creating the traditional appearance of a true divided lite. Install an optional shadow bar to complete the authentic look. Full Surround Grilles are positioned directly on the interior glass surface, giving your windows a classic look in the style of traditional wood lites. Simply remove the grilles for easy cleaning and maintenance. Choose a standard pattern or design your own custom grille pattern.